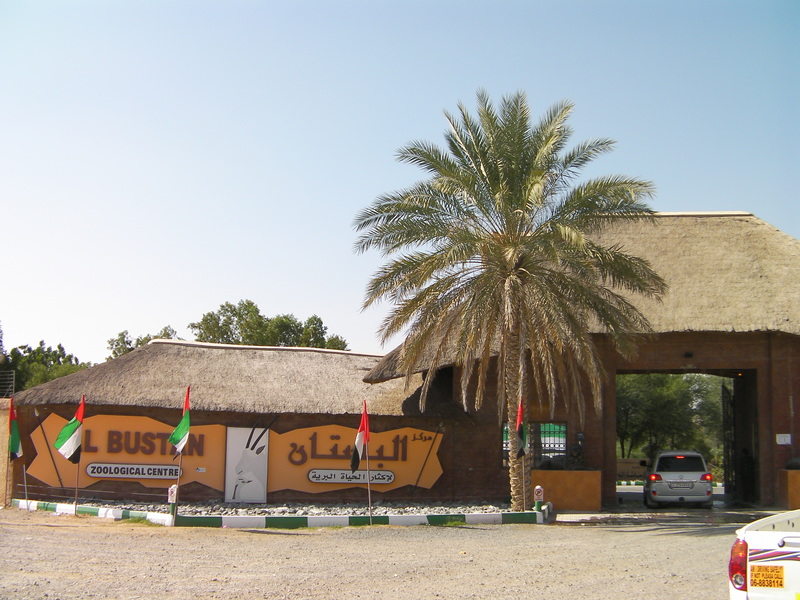 We headed out to Maleha with the intention of visiting the wildlife center there. Unfortunately, this is a private park and not open to the public. So, the closest one can get is these pictures and this video. 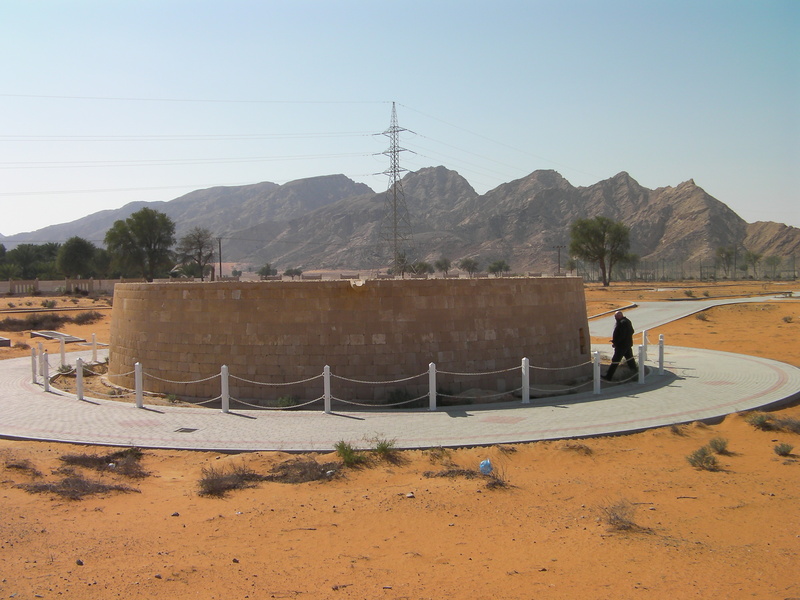 From there we went just down the road to the Umm an-Nar Tomb of Maleha. This was interesting, although it was clear that no one visits this site or uses the park around it. This tomb dates back to around 3000 BC. There are eight chambers. Next we went across the road to the fort archeological site. The structure has been partially restored. 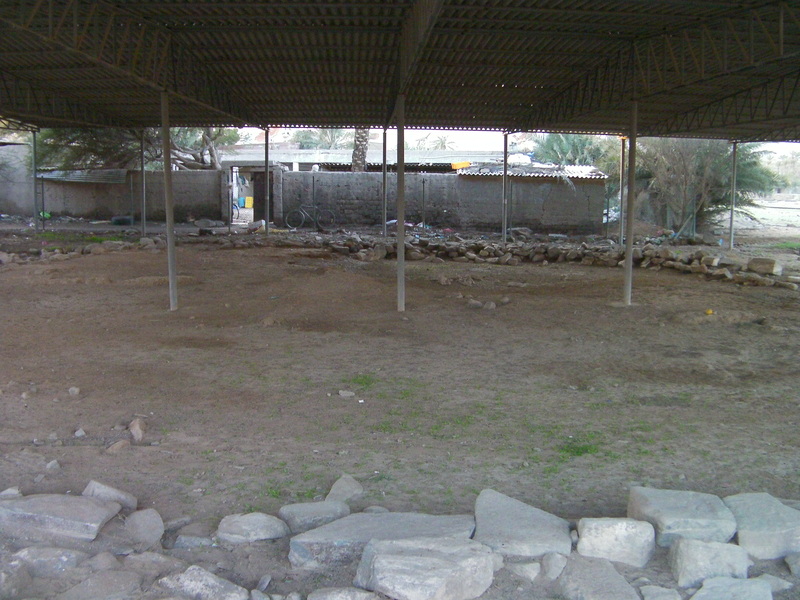 The lower, rougher wall in the foreground is most likely the original wall remains. 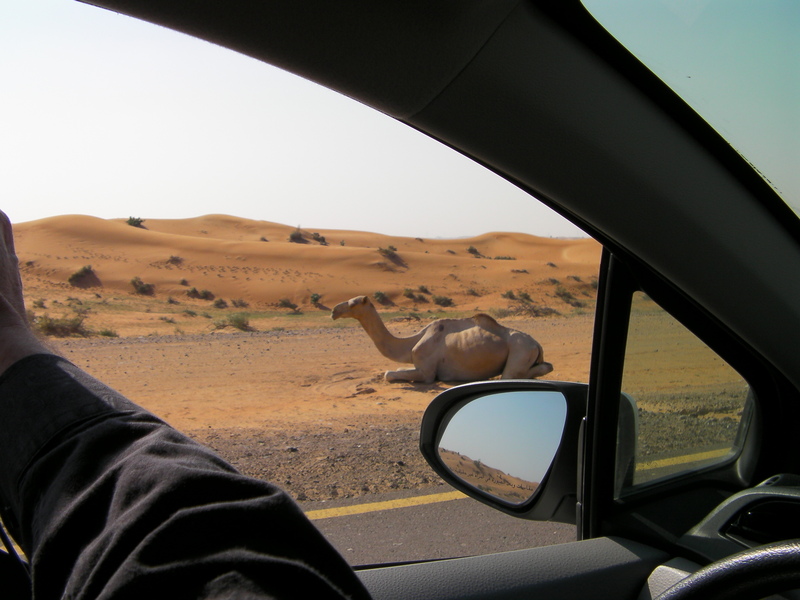 We headed north a bit to look for the camel race track and saw this fellow just taking a rest by the side of the road. 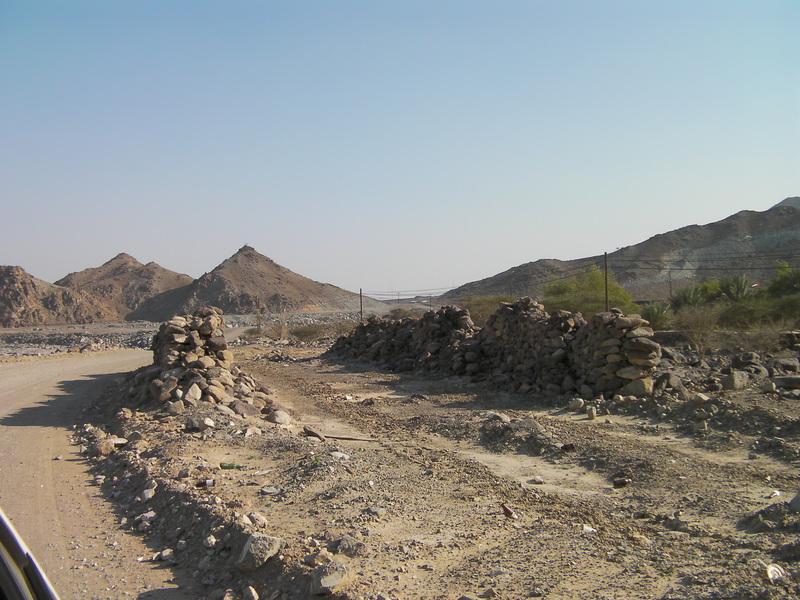 On the way back to Fujairah we stopped off at Al Fara to drive past the remains of Sheikh Suhail bin Hamdan’s home and tobacco farm. These walls were a tobacco drying shed. Most of the site is not easily accessible due to a current residence near the site. We didn’t want to trespass. 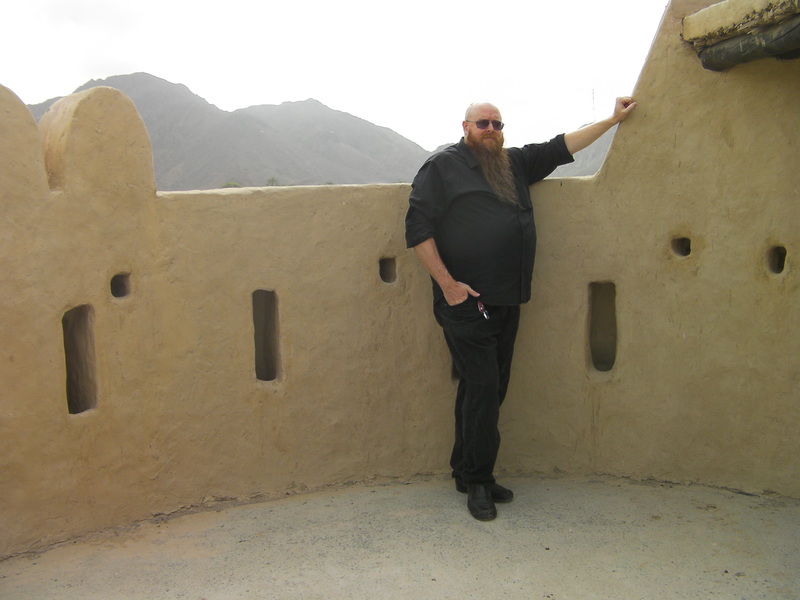 After a quick, late lunch in Fujairah, we headed up the coast to Bidya to search for the ancient fort site. 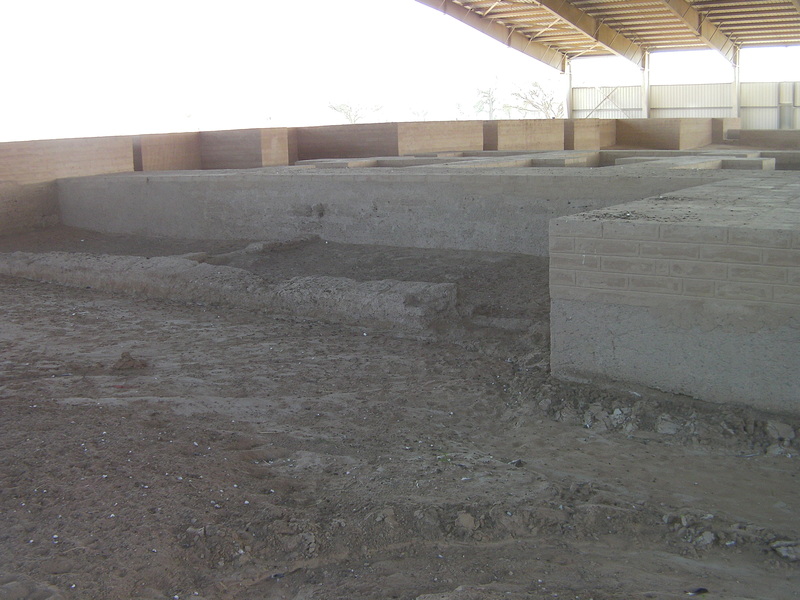 This site dates to back approximately more than 4,000 years. 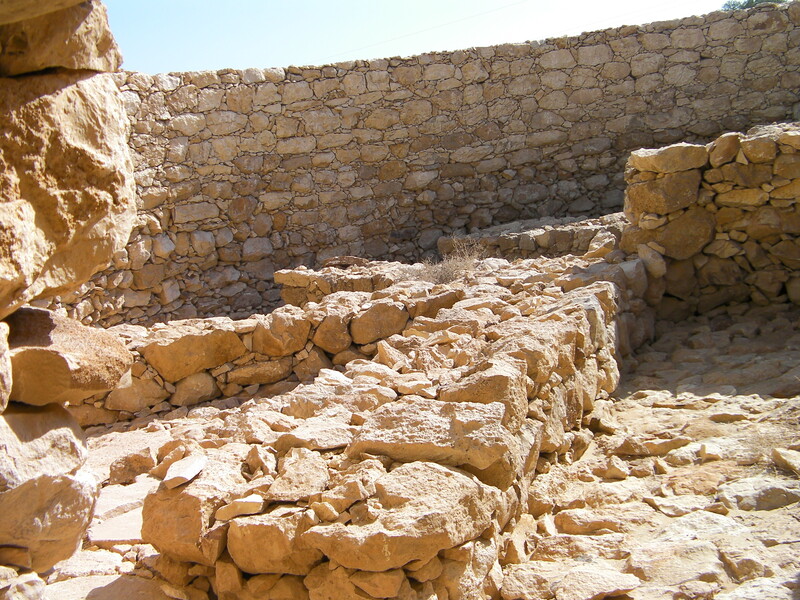 This is one of the oldest archaeological finds on the East Coast of the UAE. It was a small, round fort built around a well. These places are not necessarily easy to find (although some are right on the side of the road). They are also not necessarily set up for visitors as there is little to no information displayed at the sites. (A bit of a missed opportunity for education and tourist attractions.) However, information on some of the sites is available at area museums. 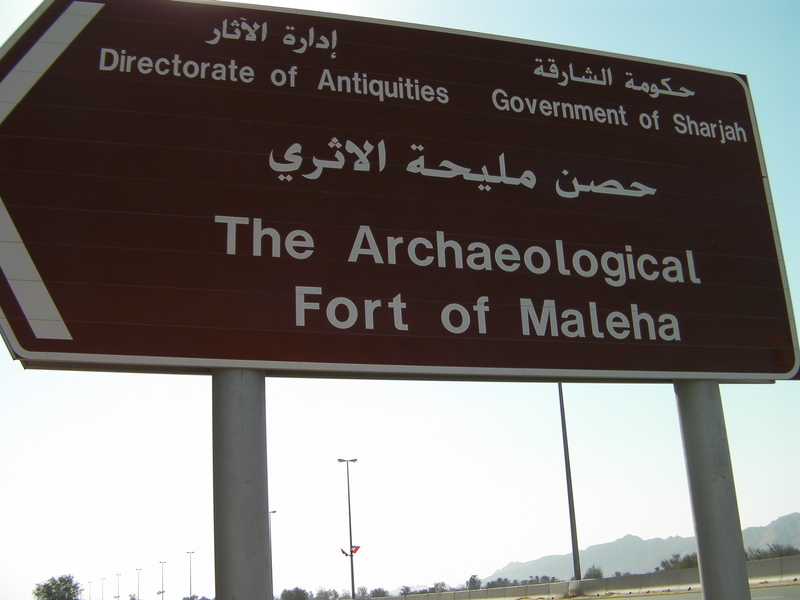 Information and artifacts related to the archaeological sites in Maleha are on display at the Sharjah Archaeology Museum in downtown Sharjah city. 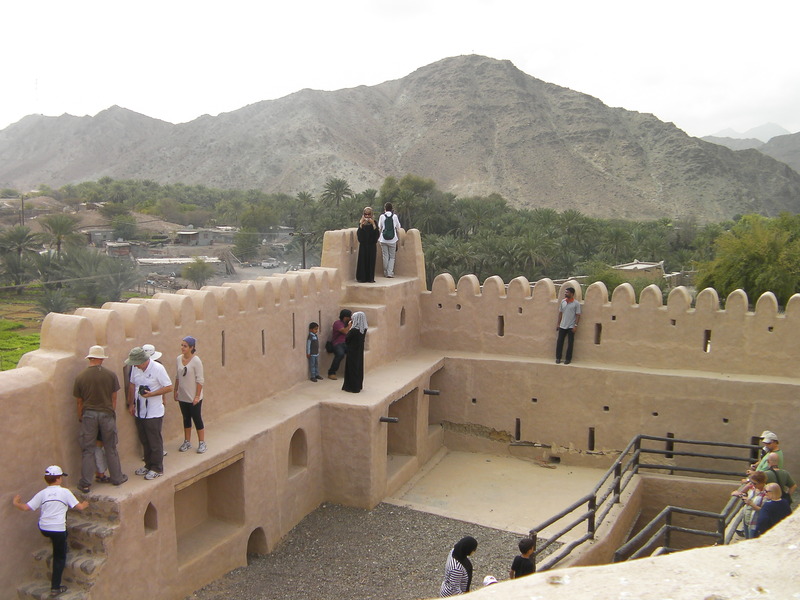 Fujairah Museum– located near Fujairah Fort- is small, but very nice, and includes information and artifacts from the fort at Bidya in its archaeological section. 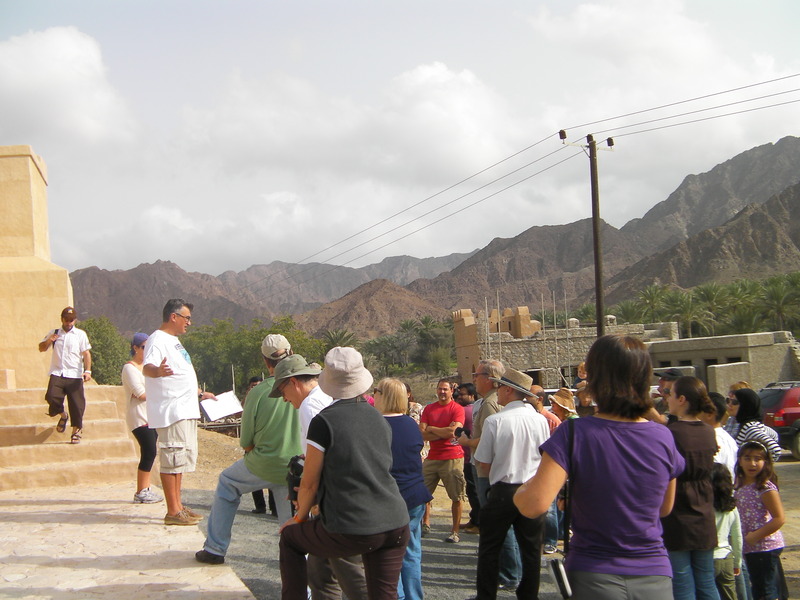 We spent the morning enjoying the first field trip of the new Emirates Natural History Group (Fujairah branch) at Bithnah Fort. The kids found other entertainment. 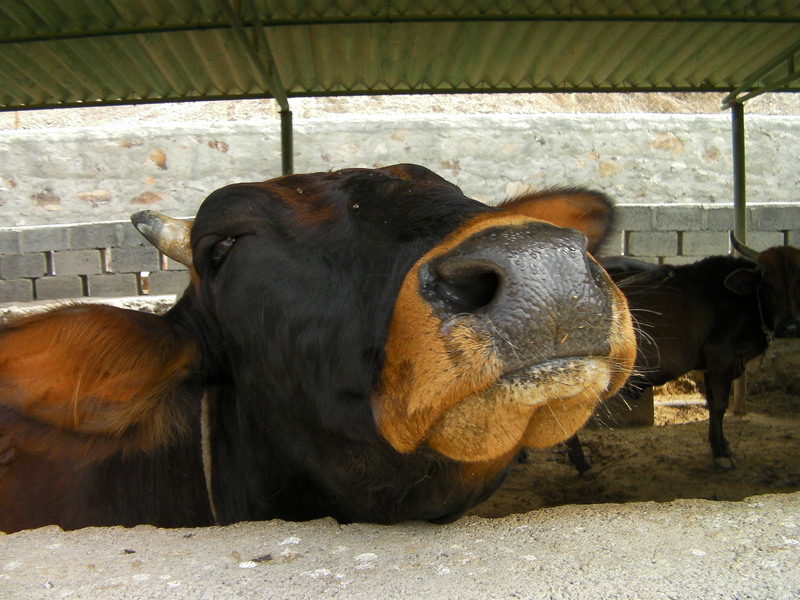 We also visited the neighboring stable and farm. This lovely camel was very cooperative and placid in posing for pictures. 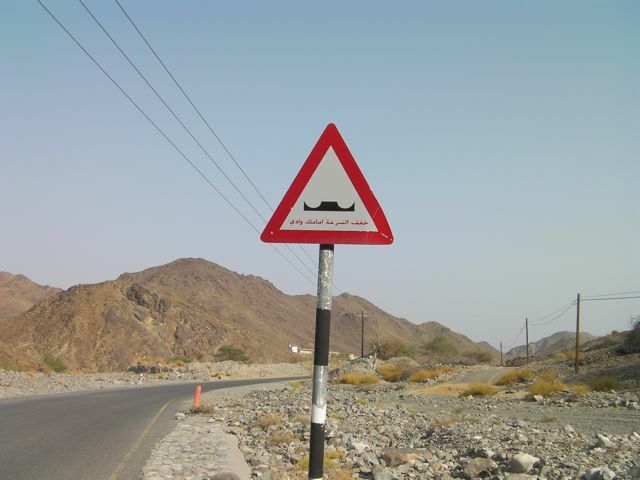 Here are the signs we saw on our road trip. 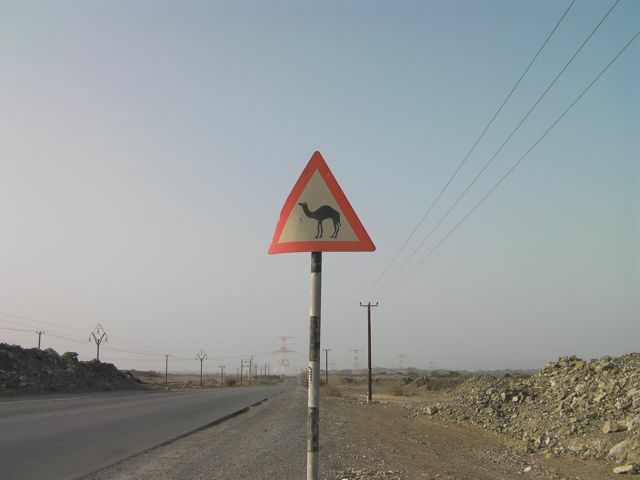 Surprisingly, we see more actual camels than these signs. 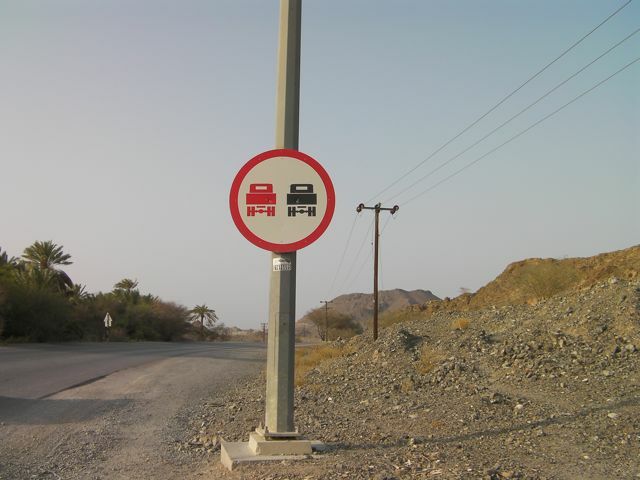 Hmm… red cars stay to the left? Red trucks, too? 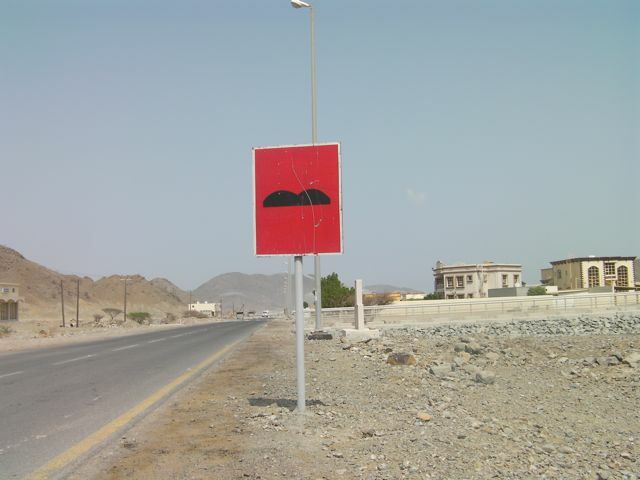 There are a wide variety of speed bump warning signs. 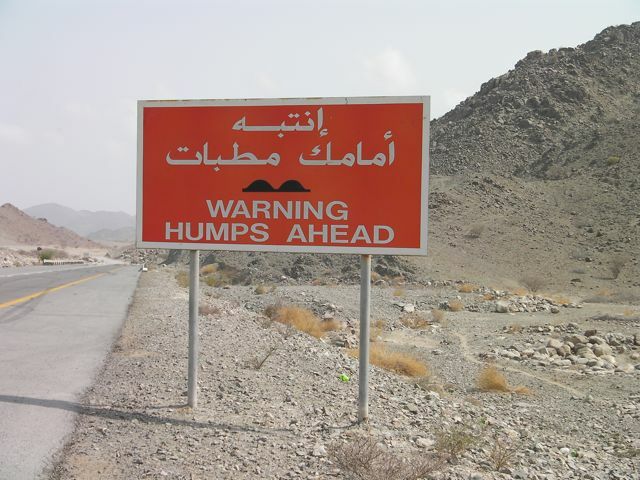 There are also a wide variety (and plethora) of speed bumps. So, I’ve resorted to video to share some things that I thought would be better that way than through still photos, (although my video techniques leave a great deal to be desired). These are odd things we found in the store that is in the first two floors of our apartment building. We are often amused by what we see there, but we are easily amused. We nearly hurt ourselves laughing at the toys. They are all knock off of brand toys or very strange things that make little sense. We paid a whopping Dhs 10 for the Desert Warrior Camel (approx. $2.70) and you know what they say, you get what you pay for! I know that once you see it you will all want one for your very own. Don’t worry, you will all find a Desert Warrior Camel in your stocking next Christmas! We also dropped a wad of $$ at Daiso, one of our favorite stores. It is all things Japanese (and cheap). I didn’t really need it, but I had to buy a blank book that had a cover showing a hedgehog, two spools of thread, three buttons and some stitches. It also said “Is preparing the sewing set. What shall I make today? I am unexpectedly good at the needlework thing.” How could I pass that up. I suppose I will need to find something to write in it about sewing, or something. I am, however, unexpectedly good at the needlework thing. Ha! 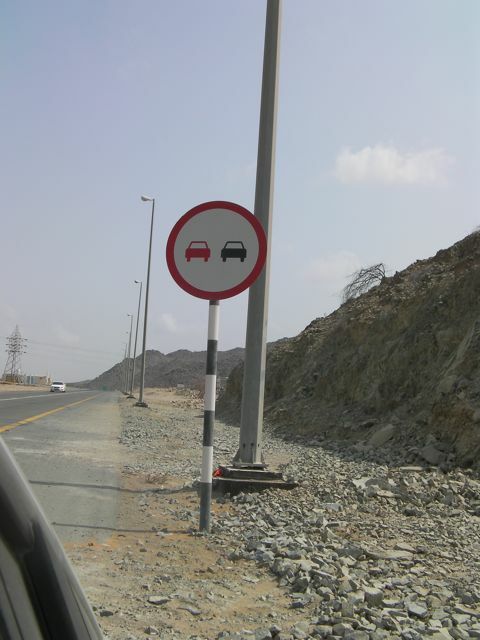 We drove from Dubai to Hatta today. 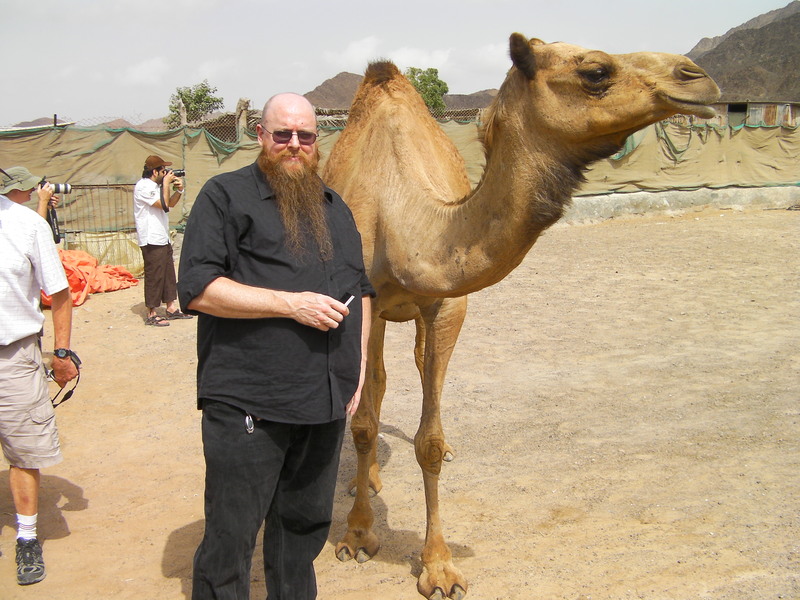 Here are two pictures with one camel each. Can you find the camel? You are currently browsing the archives for the camel category.